The worldwide Horticulture industry never loses its growing momentum. If you are a marketer looking to grab opportunities in the segment, Blue Mail Media’s Horticulture Mailing List can be highly instrumental for you to run your multi-channel marketing campaigns in the industry. Blue Mail Media’s Horticulture Industry Email Database is a perfect strategic resource for you to connect with your target market via telephone, email or mail. We help you connect with top decision makers in the industry and optimize your resources to the best. Our Horticulture Industry Mailing List has been created by our data specialists who put immense time and energies in the collection, verification, and update of the database. We leave no stone unturned to make sure that our database is reliable and highly accurate. Blue Mail Media has been a known name in the marketing data industry and has established a niche for itself when it comes to quality of data. Following our ‘client first policy’, we give enough flexibility to our clients to choose from our pre-packaged Mailing list of Horticulture Industry Executives or get a customized list built based on their campaign specific preferences. Horticulture is the branch of agriculture that deals with the art, science, technology, and business of growing plants. It includes the cultivation of medicinal plants, fruits, vegetables, nuts, seeds, herbs, sprouts, mushrooms, algae, flowers, seaweeds and non-food crops such as grass and ornamental trees and plants. Blue Mail Media gives you enough flexibility to either choose from our pre-packaged Horticulture Industry Mailing List or get a customized list created as per your campaign specific requirements. 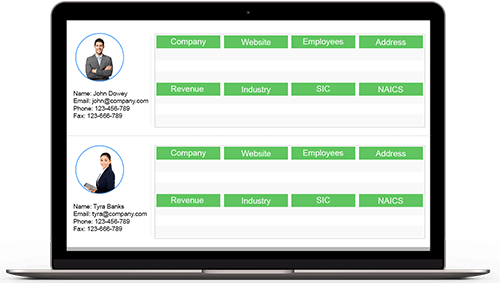 With our data, you are sure to realize greater response rate, conversions and a healthy ROI.